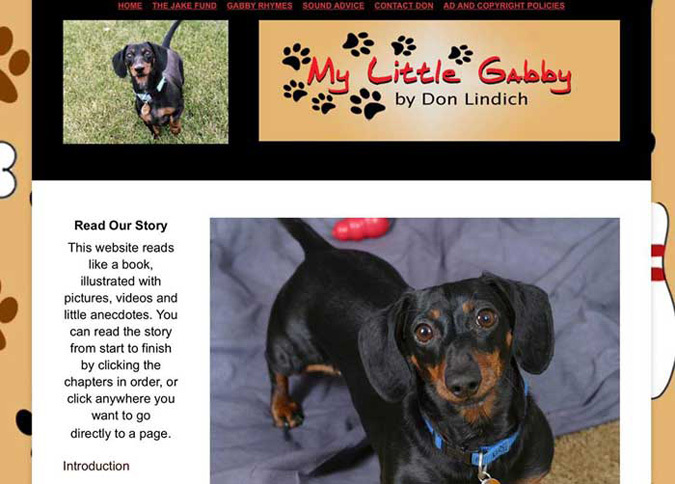 In December 2015 I published a website about the Sound Advice mascot, my miniature dachshund Gabby. She passed away on June 25, 2015. She was almost 18 years old, and she slept under my arm every night from the moment I took her home when she was 7.5 weeks old. She was playing until the last few weeks of her life, and I know we were very blessed. She was without a doubt the very best thing that ever happened to me, I loved her more than words can say and our bond seemed supernatural. 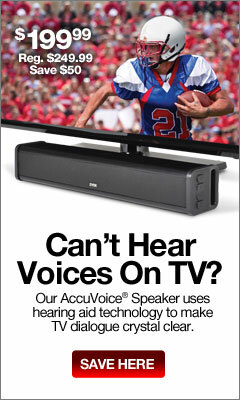 When you read the site, you may find that is indeed the case! The site is called My Little Gabby and it is found at mylittlegabby.com. It reads like an online book illustrated with pictures and videos. Spread out over 46 chapters (most of them short) I explore aspects of her personality as I tell the story of our life together from the moment I first saw her until she passed, and even a little bit beyond that. It is all free and advertising-free. It works on mobile but really looks best on a computer. I feel as though I was meant to come across this and read it. Thank you for writing such a beautiful story. I’m almost done I’ve made it to chapter 40 and had to take a break, the tears just won’t stop. 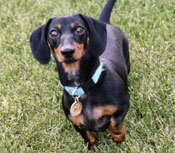 I have a senior dachshund he is 15, going through crf as well. I have no doubt that Gabby was very special, and that God sent her to you. Keep her memories close to your heart and find comfort in all the happiness she brought you. My heart goes out to you. How lucky you both were to have one another. Though there may be tears, I have been told they are because people are moved, not sad. Ours is a story of love, happiness and hope and I finish it with a message meant to be helpful to pet lovers suffering loss. It is also your chance to learn a bit more about the man behind the newspaper column, as I open up in a way I never have before in a type of writing that you probably have never seen from me. 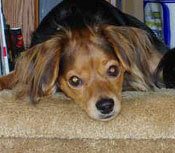 I hope you enjoy Gabby’s antics and reading about us! If you like the site please tell others about it, too. My goal in telling our story is not just to tell everyone about Gabby and how much I loved her, but to hopefully help people like Karen, too.